There’s a stinky stench in the fridge—and our favorite foodie friends must solve a smelly mystery! 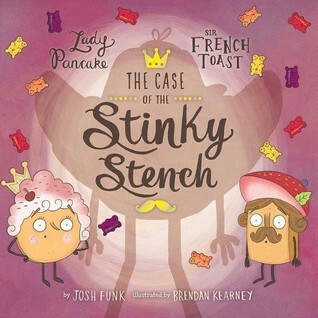 Sir French Toast’s nephew, Inspector Croissant, begs him and Lady Pancake for help in finding the source of the foul odor. Could it be the devious Baron Von Waffle? A fetid fish lurking in the bottom of Corn Chowder Lake? Featuring the same delectable wordplay and delicious art that won critical raves for Lady Pancake & Sir French Toast—there’s even an actual red herring—his fun follow-up is an absolutely tasty treat for kids!What I Think: Today at our book fair, I was just talking to a student who really enjoyed a mystery chapter book she read and we started talking about mysteries and what we love about them. She said the whole time she was reading, she couldn't wait to find out who the mystery person was. Mysteries capture our attention and our brains can't help but want to find out whodunit. And this is exactly what you'll get with The Case of The Stinky Stench! Josh funk took his super fun character from Lady Pancake & Sir French Toast and gave them a mystery to help with. With so many fun fridge friends, readers will be guessing the whole time as they try and figure out where the stink is coming from. I love introducing elements of mysteries to readers and this book is a great mentor text for looking at mystery story elements. Once a reader can recognize elements of a mystery, he or she can start to write his or her own mystery. My favorite was the red herring! And, of course, Josh uses rhyme throughout the book so it's another opportunity to look at how rhyme works and to listen for rhythm because of it as well. 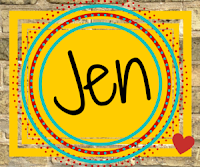 As a listening activity, you can ask students to listen for rhyming words as you read, ask students to write down rhyming words when they see them, or give students a word bank and have them listen for the rhyming words they hear in the story as you go along. "'I've got to succeed,' said Croissant with a sob. 'I've solved zero cases since getting this job.'" Writing Prompt: Write about a time in your life when you had to solve a mystery. Write about a time when you wanted to give up like French Toast. What did you do and how did you decide to handle the situation?